In a world which has phones that communicate with you and assist you in finishing certain tasks ahead of you, there is no room for meddling with data and file formats. There simply isn’t enough time and patience for improper file management because that can bring further mishaps and issues in meetings and conferences. Given that many documents change hands via email, many of them come through in PDF file, and PDFs can sometimes be a major nuisance when it comes to mobile phones and tablets. That is why Cometdocs came out with a great solution for converting PDF files in more user-friendly and editable MS Word files. PDF to Word is a mobile app designed for both iOS and Android platform, and available in several languages as well. In just a few simple steps you can change your file from PDF to .docx so that you may edit it in any app that supports .docx files such as MS Office, Libre Office etc..
Just over a month ago, PDF to Word came out with the new and improved third version of the app, and subsequently released 2 more patch updates regarding minor improvements and bug fixes. This is just another indicator that this app is no joke and the developers care deeply about keeping the app up-to-date with the newest additions and ideas. Educators are huge fans of this app because so much of their work depends on PDF files. Saving old lectures, class material and presentations can help teachers immensely because going over old stuff can help review your curriculum and is also a way to create hindsight on your teaching style throughout your career. It is well known that teachers have little to no private time due to the nature of their work. Emails keep coming every hour of every day, and thus you should always have PDF to Word in you phone so that you could convert files from your Gmail, Google Drive, and many more. Writers, editors, journalists, content managers… Just some of the professions that are closely tied to editing files and rewriting articles. In some places and companies these professionals often exchange up to several dozen emails weekly, some of them containing PDFs that they would like to make quick and simple changes to. Let’s be honest, have you ever met a writer or editor who is not a perfectionist when it comes to writing? When it come to administration and paperwork, you probably wouldn’t like to be stuck in an office or a building, waiting for hours to process several files in order to send an application, a birth certificate or something similar. If you sit behind a desk for hours daily, print lots of files and pass around over 100 papers daily, you should think twice before trying to edit that PDF file, send it in your Dropbox and convert on your iPad in just a few minutes! Have you ever found yourself in a meeting, presenting your project or passing around material and then you notice that huge mistake in the contract or whatever paper you are handing out? Do you want to ever be in that situation? If the answer is no, consider including PDF to Word in your meeting prep so that these things don’t happen to you. Preparation is the key to success! As mentioned earlier, PDF to Word has and industry leading Optical Character Recognition technology that can convert almost any scanned file. This is very important in the law industry because a single lawyer can produce up to 100.000 sheets of paper for a single year. Quality OCR allows lawyers to convert PDFs into searchable and editable .docx files. This is a major advantage because some laws and regulations that are ping-ponged between lawyers and prosecutors can be really hard to read and take too much time to find that particular part the other person is referring to. The bottom line is, this can be a great app if you find yourself in a situation such as meeting preps, last-minute contract editing, college curriculums, and many more. The demand is most definitely there, so don’t wait to find yourself in an urgent situation without this app! 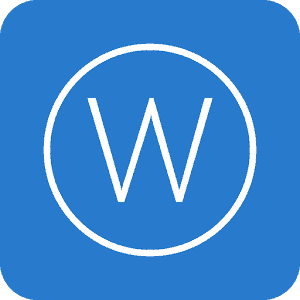 PDF to Word has recently been reworked, and its industry-leading OCR, conversion engine and user interface (seen above) are what make the difference between this app, and the rest of the market! PDF to Word is very diversified, in the sense that it is very present and widely available on both Android and iOS with a version for both iPad and iPhone, with the Android app being available in English, French, Indonesian, Italian, Spanish, Portuguese, and several more versions coming soon.